Daily Debate: Why Do You Think the Deku Have Been Left Out of Modern 3D Zelda Games? For anyone that grew up on the Nintendo 64 Zelda titles, the Deku race is just as fundamental to the franchise as other races like the Zora or the Goron. But as the series has progressed and other races have maintained an active role in most Zelda games, the role of the Deku has been noticeably diminished. Sure, we’ve seen the mischievous tree-folk pop up in handheld titles like The Minish Cap and Tri Force Heroes, but their presence is certainly something negligible, especially considering how prominent they were in Ocarina of Time and Majora’s Mask. Why do you think the Zelda series has done so little to bring back the Deku? I personally believe that the Deku have been removed from the spotlight because of a certain race that was introduced in The Wind Waker. Yes, I believe that the Koroks, which recently took on a significant role in Breath of the Wild, have in a sense replaced the Deku as the Zelda series’ wood-based tribe, at least in the eyes of the developers. The creators of The Wind Waker seemed to have struck gold when designing the lovable Korok race; these little, wooden guys are more expressive and arguably more visually appealing than the Deku were. So, when deciding what type of tree-folk they would include in Breath of the Wild (or any future Zelda game for that matter), I understand why they would choose the Koroks over the Deku. 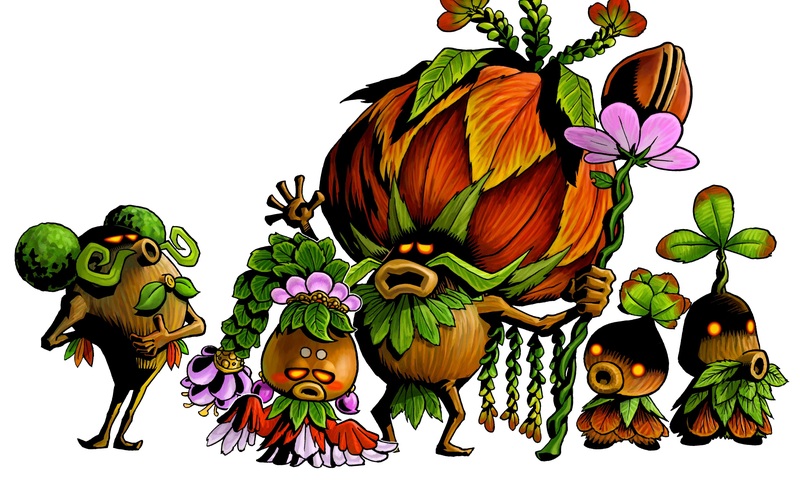 When building a quest line or location within a mystical forest, perhaps related to the Great Deku Tree (despite his name), the Zelda team found that the Koroks were best suited to serve in that role. That’s just my take on the situation though. Why do you think the Deku race has been left out of modern 3D Zelda games? Would you like to see them return? Do you think the Koroks are better substitute for the Deku? Share your thoughts with us in the comments below.